Osvaldo Castilla #418A. 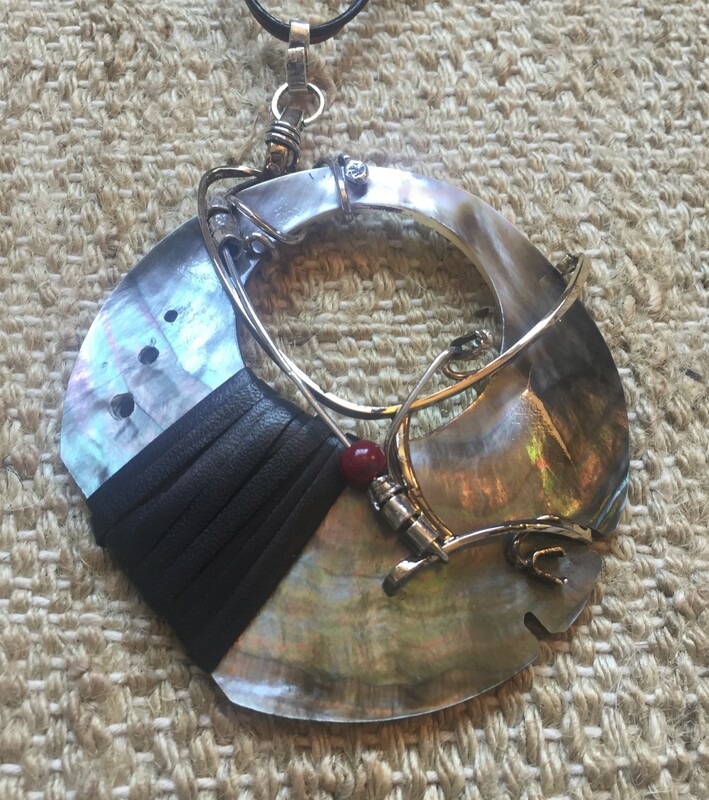 Mother of pearl , leather and silver. 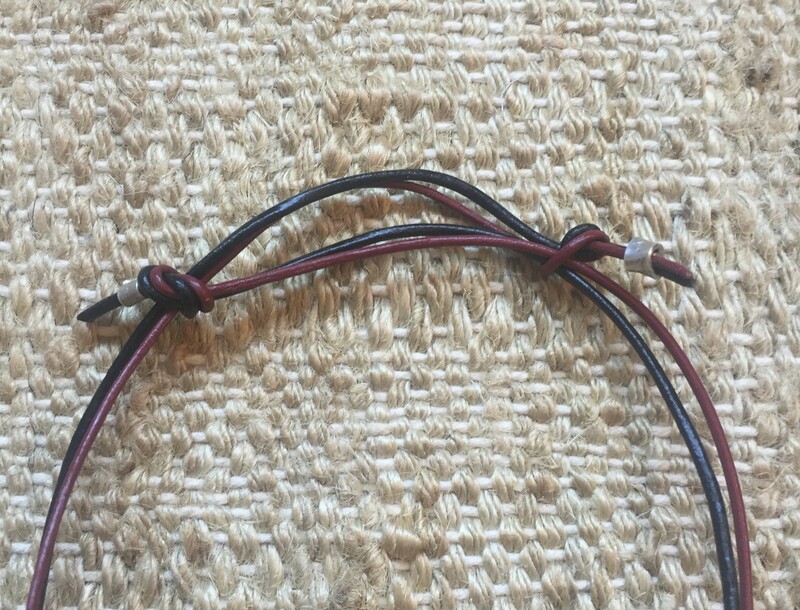 Adjustable length necklace.